Jack Canfield is a wondrous example of how living the Law of Attraction allows you to use the power of your thoughts to improve your life, achieve your wildest dreams, and realize your only limitation is yourself. As the beloved originator of the billion-dollar Chicken Soup for the Soul series, which Time Magazine called the "publishing phenomenon of the decade," Jack is uniquely qualified to talk about success. He is America's leading expert in creating peak performance and a compelling, empowering and compassionate coach who for the past 30 years has helped hundreds of thousands of individuals achieve their dreams through his best-selling books, training programs, and his featured role as a teacher in the hit movie The Secret. Jack holds the Guinness Book World Record for having seven books simultaneously on the New York Times Bestseller List and holds the record for the largest book-signing ever. He has been a featured guest on more than 1,000 radio and television programs in nearly every major market worldwide. A sample of these include Oprah, 20/20, Inside Edition, The Today Show, Fox and Friends, Larry King Live, The CBS Evening News, The NBC Nightly News, Eye to Eye, CNN's Talk Back Live, PBS, QVC and many others. Jack, a Harvard graduate, is one of the earliest champions of peak-performance, developing the specific methodology and results-oriented activities to help people take on greater challenges and produce breakthrough results. In 2004 he founded the Transformational Leadership Council as a way for thought leaders, speakers, authors, coaches, trainers, researchers, and consultants to enhance their effectiveness in the world. There are few people as qualified to teach you how to get the most out of your life. 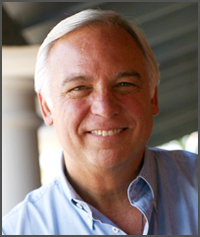 Jack Canfield is author of the Effortless Success personal learning course and Living the Law of Attraction Paraliminal.